ICAL personnel are regularly travelling Australia conducting training seminars on behalf of industry bodies such as VECCI and Ai Group. The seminars we run cover all aspects associated with Shipping, Customs and Logistics. The subjects are covered in a full day session but we also offer a condensed version of half a day if required. We have experience in producing export / import courses for different types of companies and institutions, we can also organise tailor-made in-house courses to improve and/or update the skills of your staff in that area. Our staff members include people who speak Mandarin, Spanish and French fluently, and who can assist you with those languages while reading, writing or translating documents, as well as dealing directly with your customers and suppliers if required. Letter of Credit document preparation and understanding. 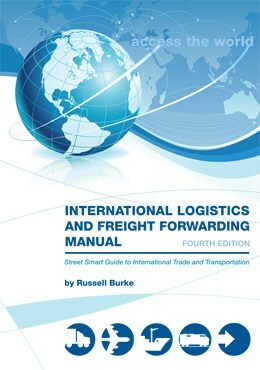 The International Logistics and Freight Forwarding Manual is used extensively throughout Australia in the training of International Freight Forwarders, Importers and Exporters; and in many colleges as a reference and practical guide in the study of International Transport and Trade. This fourth edition of the book, comprehensively indexed, is a complete revision, update and expansion, and covers most of the factors involved in International Freight Forwarding, Trade and Transport. It aims to provide the reader, whether a forwarder, trader, customs broker, or simply an interested student, with the necessary knowledge and skills to enable the achievement of the common objectives of traders and forwarders when selling, buying and moving cargo internationally.